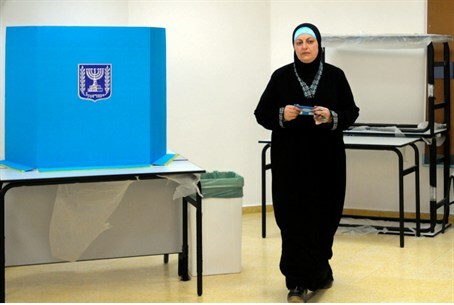 Police will investigate several polling stations in Arab towns after Jewish observers alleged that voting fraud took place. Police will investigate several reports of elections fraud in the Arab sector following complaints from Jews from Samaria who served as observers on elections day. The decision was made after journalist Kalman Liebskind covered the allegations of fraud in a column for Maariv/nrg. Police also met with Elections Committee head Justice Elyakim Rubenstein before announcing the investigation. Liebskind shared testimony from several of the observers. They reported problematic activity including the forgery of votes, the artificial increase of the number of votes, and the attempted bribery of observers. The observers from Samaria were stationed in several Arab polling stations in an attempt to reduce fraud. Each party has the right to send observers to polling stations to ensure fair treatment, but most non-Arab parties choose not to exercise their right to send observers to polling stations in Arab towns, apparently due to safety concerns. “Among other things, we were offered a bribe of dozens of votes for Likud in exchange for increasing the number of voters. My colleagues and I refused, and were subject to various threats against our lives and health,” he continued. Sources in the Samaria Residents Council said they believe the presence of outside observers at Arab sector polling stations this year prevented several potential incidents of fraud.